When it comes to love and work, at some point we’ve all been warned: don’t work with your spouse, it will be a disaster. But we’ve never been known to do things the “right” way. If we did, we probably wouldn’t have taken the plunge with a food truck business (remember Dough Catering?) and that might not have led to One World Kitchen. 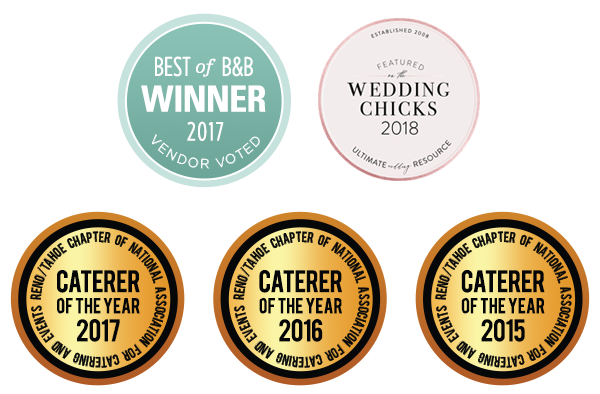 One thing is for sure, we definitely wouldn’t have reached our dream as owners of Blend Catering. The point is, we love doing things differently, and we love taking risks together as a team. 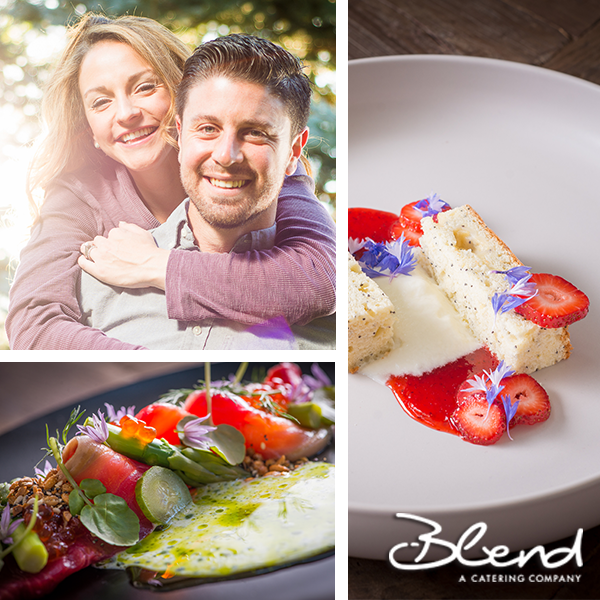 For us food, work and love are better blended. In the spirit of Valentine’s day, we want to share our perspective on love, food and pursuing our passions together. So how did this adventure begin? With a cookie, of course. Back in culinary school, Whitney sought out to bribe Josh for a date. So she bought him a cookie from school that he was in love with. Fast forward to 5 years later and we’re married and balancing our catering business with our growing family. And we couldn’t feel more thankful. How do we divvy up “Owner” roles? Maybe we’re lucky, but we really are the perfect balance. Josh brings the lively spirit. He’s always coming up with bold and outlandish menu ideas and chatting up the guests. Whitney is the brains of the operation, she makes sure the big dreams come to fruition. We have found these niches in the business we’ve created. We both have our strengths and weaknesses, and we play off each other. How do we keep it together, while keeping work and home separate? For 5 years we’ve been with each other, every single day. On an everyday basis, our strengths and weaknesses show themselves (though Whitney jokes she has more strengths than weaknesses). So we’ve learned to let each other do our own thing. How do we develop our culinary ideas? When we’re developing menus, Josh wants to do 10 garnishes on a plate, and Whitney reels him in with compromise. That’s how it works every time, and over the years we’ve realized we couldn’t do what we do alone. Our minds play off each other, and we’ve made some awesome things because of it. We experiment with plating and presentation options. We taste it, and taste it again, and taste it again. We consider how the guests are going to eat it and it what context. We go through every step to make it perfect. Of course there have been times when we let the creative bug bite, and risk ensues. Speaking of, have you heard about our Baklava doughnuts? They weren’t a thing until just a few days before the Under The Rose dinner last year. I know we said Josh is usually the wild idea one, but Whitney is the genius behind this one. We needed to create a dessert that stuck with the menu’s middle eastern theme. We knew we wanted to do Baklava but we also wanted to share something different. So we came up with a few flavor profiles. The event was drawing closer, but nothing felt like “the one.” That’s when Whitney decided Baklava doughnuts were the way to go. We had never made them before, didn’t test them until we got there, but in Whitney’s brain she knew that it would be a worthwhile risk. The challenge: the doughnuts needed to maintain the same crisp, fried experience of our signature doughnuts, but also maintain the syrupy sweetness that makes Baklava stand out. She knew it would work, and she was right. It was perfect, we were so happy we took the risk, it’s on our menu now and it sold quite a bit that day. Despite the warnings, we’ve learned that working together is the best decision we’v ever made. It’s allowed us to share our dream of creating incredible experiences for our community. As a team, we have structure, we have balance, but we’re always up for a healthy dose of risk. Plus, when you think about it, how could anything go wrong when it starts with a cookie?